I was recently shown a thoughtful article published by HackerNoon outlining a rather terrifying scenario that’s evolving due to the growth in cryptocurrency power. 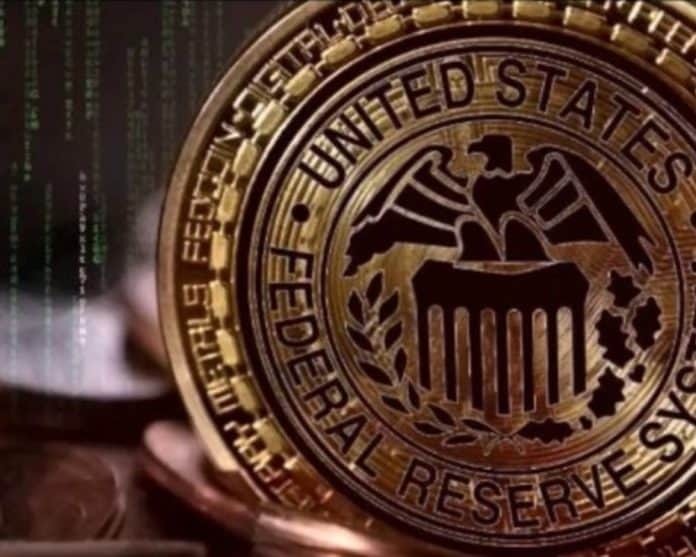 Many in the fin-tech space believe that the Federal Reserve of the United States will shortly release its own cryptocurrency, a “FedCoin.” At first glance, this doesn’t seem to be a reason to jump out of a window but let’s look deeper into what this could mean. Yes, I wrote “could” mean because, like most of the views into the future of crypto, it is all speculation. Cryptocurrency iis powerful on a host of fronts including controlled distribution, anonymity and the ability to “program” the coin because, after all, it is only a program that is reflected by cryptos. Let’s move the clock forward on the myriad advantages and outcomes of a Federal Reserve System backed coin. The release of such a coin would be simple. Like other companies involved in the blockchain, a series of programmers could create a FedCoin very easily. The launch of such a Fed backed crypto would be immediately accepted by government, big business, big academia and anyone else who rely in some substantial part on working with the government. So, you ask, we have a crypto offered by the Fed and accepted by the movers and shakes. What’s the problem? Sorry to sound pessimistic but, like many of you, I know my history. If there is one continuous theme in history, it is that governments continually seek more and more power. Therefore, it’s not hard to imagine that within moments of the release of a Fed backed crypto, two other things would happen: All other cryptocurrency would be made illegal (just as it’s illegal to create competing currency) and all hard paper and metal currency would be converted to crypto with no argument possible. With this simple move, the federal government through its quasi-government Federal Reserve would have the ability to directly control your financial issues by simply programming your tokens and coins. If the government wants taxes, it will simply program the coins to send a portion to the treasury. If the government wants to find a citizen accused of a crime, it can simply program a zero value to their tokens. You get the point. Given sophisticated enough programming, all of our financial lives would be completely dictated by “the bigs” in big government, big business, big academia, etc. The argument for the FedCoin of course will be the traditional one; it’s simpler, it’s easier, and the only people who don’t want it are hiding something. After all, if you work for “the bigs” and receive a straight salary deposit of coins each week, what do you care? But, if you’re an entrepreneur, a person who desires to live life on their own terms, this is where one of the many problems sneaks in. How many entrepreneurs don’t have to find money through non-traditional sources to fund their new vision? With a “safe” FedCoin, the government could easily program tokens to you to fund your idea, if they agree with it. This clearly shows a dystopian world predicted by Aldous Huxley and George Orwell and for many who believe in biblical revelation, this puts immediate perspective into the cashless society they so fear. Will it happen? As I noted earlier, predictions about the future of crypto are extraordinarily difficult to make and with the complete decentralization of the blockchain, it might be next to impossible to “outlaw” other developed coins. However, if there is one thing history teaches, governments continually seek more power and control over their citizens. “Cryptocurrency”, as defined by the Mirriam-Webster and Oxford dictionaries, is independent of central banks, or from an American viewpoint, is independent of the Federal Reserve. Thus, “FedCoin” may be more accurately described as a “digital fiat currency”. On that note, recent press releases from the Federal Reserve strongly indicate that the Fed is not at this time interested in creating or sponsoring a digital currency. Although the Federal Reserve is interested in supporting a faster payments network within the United States (see https://fasterpaymentstaskforce.org/ for details), such a network need not be driven by crypto-based solutions. Are the words “token” and “coin” interchangeable in this article? If not, what is the difference between a token and a coin, as presented in this article? In this response, “coin” will always refer to an individual piece of digital fiat currency backed by the Federal Reserve. “[The government] can simply program a zero value to [the citizen’s] tokens.” This implies that the value of each token/coin is mutable, which would severely damage consumer confidence in the digital currency. In paper, a penny is always worth $0.01 USD and a $100 bill is always worth $100 USD, regardless of when it was issued or who currently holds it. For the Federal Reserve to adopt a digital currency, it seems reasonable that the value of any given piece of that currency remain immutable and unchangeable. A digital penny would always be worth $0.01 USD and a digital $100 bill would always be worth $100 USD. Maintaining a digital currency with coins of immutable value fosters public confidence in the system. While operating a digital currency would give the government easier access to a citizen’s funds via reassignment of a possession attribute on any given coin, the proper use and application of that power is a separate issue to be resolved through regulatory legislation. Besides, the government already has the power, at least through the IRS, to freeze and seize the account holdings of any who stand accused of crimes including tax fraud or evasion. “How many entrepreneurs don’t have to find money through non-traditional sources to fund their new vision?” What are these “non-traditional sources” and what proportion of entrepreneurs actually receive funding from these sources? What proportion of entrepreneurs receive or seem to receive funds from off-the-books sources? Many entrepreneurs operate today without government funding, formal approval, or support. While this article does raise some valid concerns surrounding a digital fiat currency issued by the United States government, the doomsday scenario presented is ultimately, like all guesses surrounding America’s future in digital currencies, all speculation.